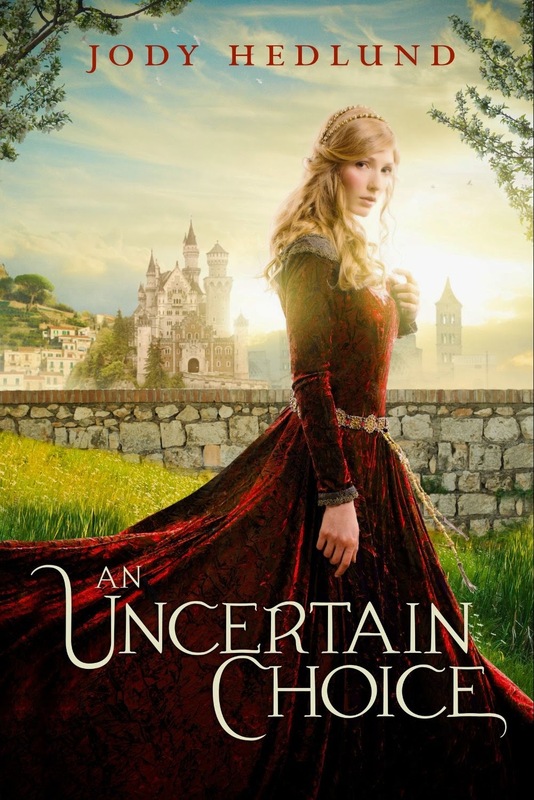 "An Uncertain Choice" by Jody Hedlund is set in the land of Ashby in the year 1390. Lady Rosemarie Montfort is a month from her 18th birthday when she'll take her vows and join the convent. It had been four years since her parents' deaths and she found out about the ancient vow they had taken at her birth. Her godfather The Duke of Rivenshire arrives with the news that there is an exception to the Vow. If she were to find true love and marry by midnight of her 18th birthday, she did not have to become a nun. The duke brings along his three most loyal and brave knights to compete for her love, Sir Collin Goodrich, Sir Bennett Windsor, and Sir Derrick Harding. Will Lady Rosemarie find true love or does God truly want her to serve him as a nun? While Lady Rosemarie tries to figure out the new feelings she is facing, there is also the mystery of the strange illness that is hitting the people of her lands and who is trying to harm the knights. I figured out who she was going to marry and had my suspicions about who was behind the attacks, but there were twists that I didn't expect, either. "An Uncertain Choice" is written in first person point of view. Most of it is from Lady Rosemarie's point of view, but there are portions written from the point of view of one of the knights (I'll let you find out which one). Each person's point of view is differentiated with a different font. I had never seen that and found it to be a clever way to not give away too soon whose point of view it was. I liked the characters and didn't want to put the book down, even though it is listed as "Teen fiction". I would recommend this book for those who like historical/medieval inspirational romances. I received a free paperback edition of this book in exchange for my honest review as part of the zblogsquad. All opinions and thoughts are my own. I look forward to reading each month's novella in the A Year of Weddings Novella 2 series. This year they deal with those who help orchestra other people's dream weddings getting their own happily ever after. "All Dressed Up in Love" by Ruth Logan Herne is the novella for March. Greg Elizondo is right at home taking point on a business merger, but when he faces the list of appointments for bridal fittings at his mother's bridal shop with no one to work them, he is in over his head. When Tara Simonetti walks in in response to his help wanted posting, it was a life saver. Tara plans on heading back to Pennsylvania to give them an honest lawyer her family didn't have when they needed one. Greg is a ladder climbing lawyer, they couldn't be more different. As they work to save Elena's Bridal, their feelings for each other grow. But with their goals set in such opposite directions, how will God work it out? I enjoyed reading "All Dressed Up in Love". I liked Tara's spirit and upbeat attitude and Greg's gentle heart inside the all business exterior. The book made me think a little of the movie "Pretty Woman" with the similarity between Richard Gere's character and Greg. The book had a nice flow and a wonderful cast of characters (main and supporting). The romance happens very quickly, but it is a novella, so things have to move along faster than in a full length novel. It was nice to be able to read a fun love story in an evening. 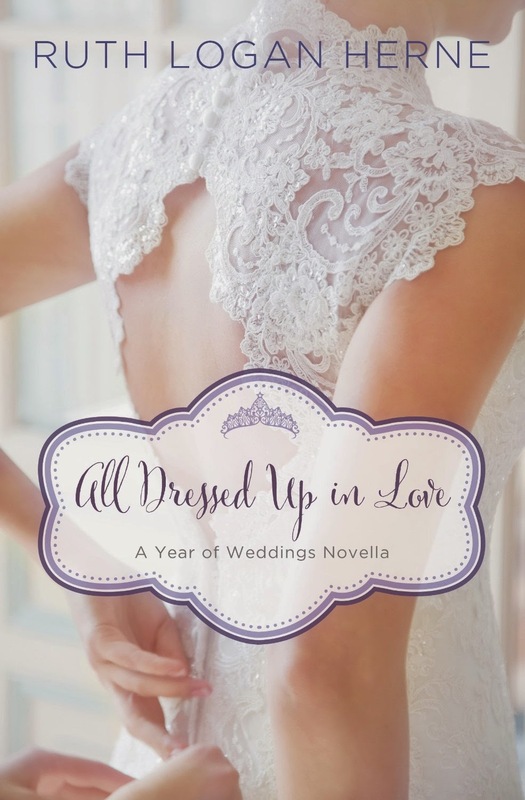 I would recommend "All Dressed Up in Love" to others who like Inspirational novellas. I received a free eBook version of this book from booklookbloggers in exchange for my honest review. All thoughts and opinions are my own. 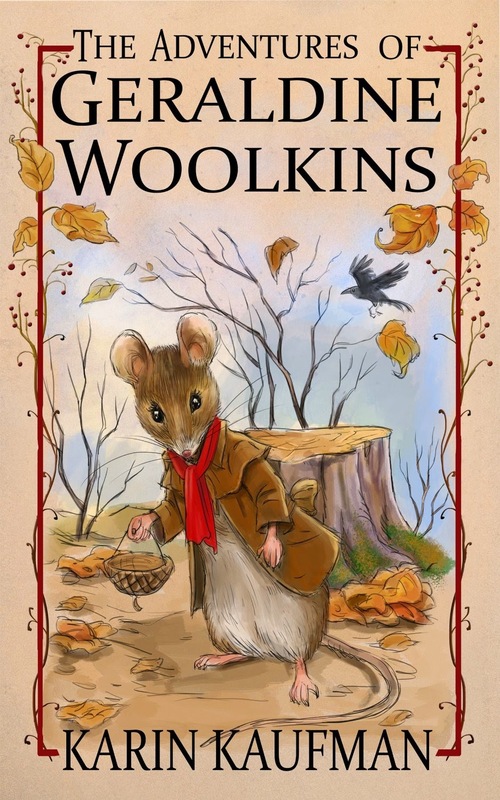 Geraldine Woolkins is a new mouse and she doesn't know much about the world around her home in the hollow. She enjoys the adventures her father reads about in The Book of Tales but she isn't sure she is ready when her own life turns into an adventure. I read "The Adventures of Geraldine Woolkins" to my children at bedtimes. We really enjoyed it and they were always disappointed when we were unable to read for some reason. I really liked how things were described as a mouse would. The names of the locations are also what you'd expect from a mouse ("No Wolves Creek" "Where Blueberries Fall") Throughout the book there are lessons being taught from simple things like not eating your food too quickly to how God sees us all the time. My 7 year old commented "Whoever wrote this book must know Jesus" It was a nice feeling to be able to read this book to the kids and know they were being taught Godly things. I would recommend this book to everyone, even if you don't have kids. It is a really good book. And it is free on Amazon for Kindle until March 23, 2015. I received a free eBook copy of this book in order for me to give my honest review. All opinions and thoughts are my own. 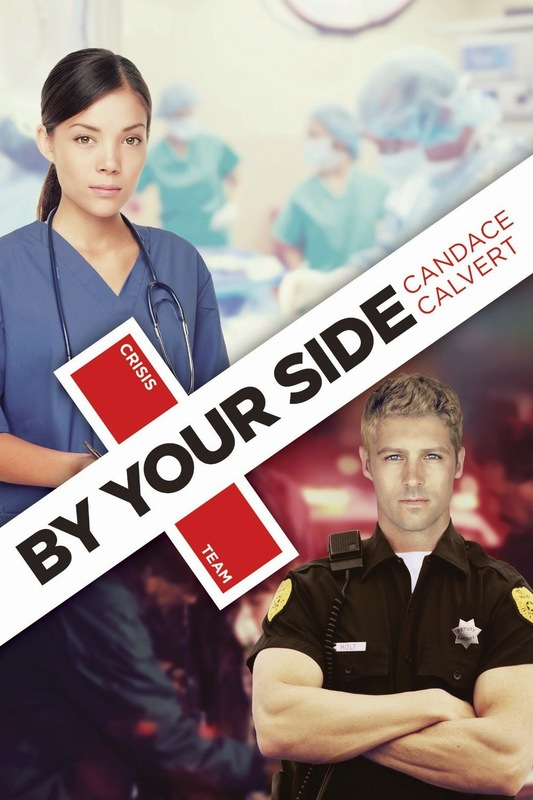 "By Your Side" is the first in Candace Calvert's new "Crisis Team" series. ER nurse Macy Wynn has learned to be tough and trust no one after growing up in foster care. She is very independent and is determined to help her sister whatever it takes. Deputy Fletcher Holt has recently transferred from Houston to Sacramento in order to be close to his mother as she is battling cancer. He believes that God has a plan for everything, but he also wants to do all he can to help in every situation. Macy and Fletcher are thrown together after a sniper attack on a freeway. Even though they keep butting heads, they are drawn to each other. "By Your Side" is the first book I've read by Candace Calvert. I will definitely be reading more of her books after reading this book, however. "By Your Side" was very easy to read and flowed nicely. It is told from the point of view of several of the characters, both main and secondary. It was interesting to see how all of them were feeling. The book had several story lines wound through the story making it very rich and detailed. Besides the romance of the story, there was also the mystery of who the freeway sniper was and what his motivation was. We also got to follow Taylor Cabot and her struggles with being a widow. I am looking forward to reading Taylor's story in "Step by Step" next year. Throughout the book, faith in God is woven through the characters life and it was a pleasure to watch them grow in their faith. I would recommend "By Your Side" to those who like Inspirational Romance. I received a free paperback version of this book by Tyndale Publishers in order for me to give an honest review. All opinions and thoughts are my own. 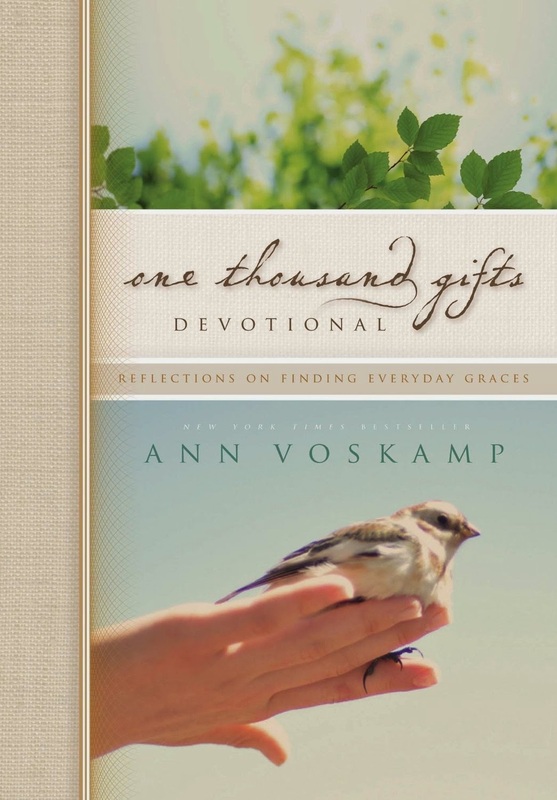 "One Thousand Gifts Devotional" by Ann Voskamp contains 60 devotionals that guide you in finding ways to thank God for the gifts in your life that you may not even see. Each devotional starts with a verse from the Bible and ends with a prayer. There is also space given for recording thoughts and ways you are experiencing God's gifts in your own life. The back of the book contains a "Count 1.000 ways He loves you" journal with 1,000 lines for you to record the gifts God has granted to you. I like the concept of the book and the overall principal. I found the book difficult to read, however. It seemed like they were trying to be profound and write in a "deep" manner. To me, it just ended up being jerky and hard to understand. Some lines I had to re-read several times to get what it was trying to say. I received a free hardcover copy of this book from Zondervan through their ZBlogSquad in order for me to give an honest review. All thoughts and opinions are my own. Bethany was a gifted, happy woman who suddenly wasn't acting like herself. The next thing the family knew, she was fighting the unseen enemy of brain cancer. 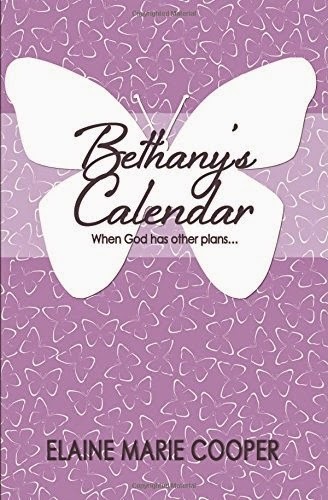 "Bethany's Calendar" by Elaine Marie Cooper is a true account of the Cooper family's journey through Bethany Cooper's diagnosis of terminal brain cancer. This book is very touching and I cried many times. You could feel the confusion and pain they were feeling. It is also very uplifting to see how they relied on God and each other for strength. Each chapter starts with a clip from Bethany's own diary. It was inspiring to see how in tune with God she was. The chapters all end with a "Note to self" and a "Note to others"showing what God had taught them through the events of that chapter and tips for outsiders on how to respond in a situation like those in the chapter. I was gifted a paperback copy of "Bethany's Calendar" from the author at a Facebook New Year, New Release book party. A review was not mandatory or expected. I just wanted to share my experience with the book. "The Fruitcake Challenge" is the 3rd in the Christmas Traditions Series, but each novella is a stand alone story and they are not connected through their plots. This story interested me when I first heard about it because it is set in my home state. I always find it fun when a book is set in a familiar place. Tom Jeffries signs on as the new axman in the family lumber camp run by Mr. Christy to be able to support his mother. He takes an interest in Jo Christy, the boss's daughter, and announces a challenge that he will propose marriage to any woman who can make a fruitcake as good as his mother's. Jo takes him up on his challenge, but only to be able to take him down a notch or two. Jo wants out of the lumber camp, so she isn't interested in any shanty boy, but as she bakes fruitcake after fruitcake, Jo begins to wonder what she wants from life. Will they clear a path that brings them together? I have seen the vast White Pine forests in Northern Michigan. I've also been to a recreation of a lumber camp. I could picture the setting as I read the book. I liked the progression the characters made in their personal lives. They grew and improved. I found myself nodding as I read about the pasties and other references to life in Michigan. I did get a little confused, though, as at the beginning of the book, Tom's sister's name is Rebecca and at the end it is Emily. I enjoyed the characters in the book, both the main ones and the secondary ones as well. I could see story plots that would work as sequels. 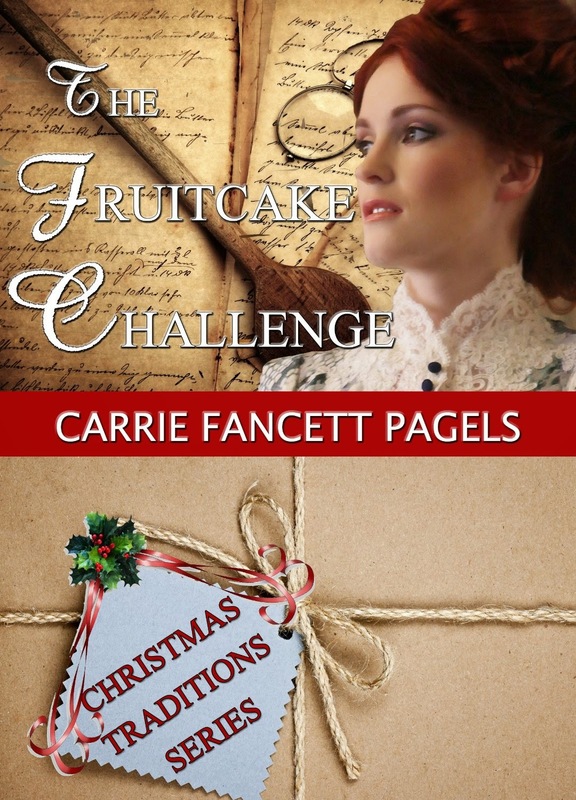 "The Fruitcake Challenge" is a fun, quick read that I'm sure those who like books about lumberjacks, Michigan, and historical romance will enjoy. I won a copy of "The Fruitcake Challenge" on the Overcoming with God blog and was gifted a copy by the author. It is one of the busiest weeks in Meadow Larson's catering business calendar and the roof caves in burying her prep kitchen under snow and debris. To add to the awful day, she discovers that Colin McGrath has just moved back to Havenbrook and he is living across the street! Colin McGrath never stood up to his friends about how they treated Meadow when they were all in high school. Can he get her to forgive him and trust that he is a changed man? When she has to rely on him to get her business back on the right foot, will she be able to move past the walls that she's built around her heart? 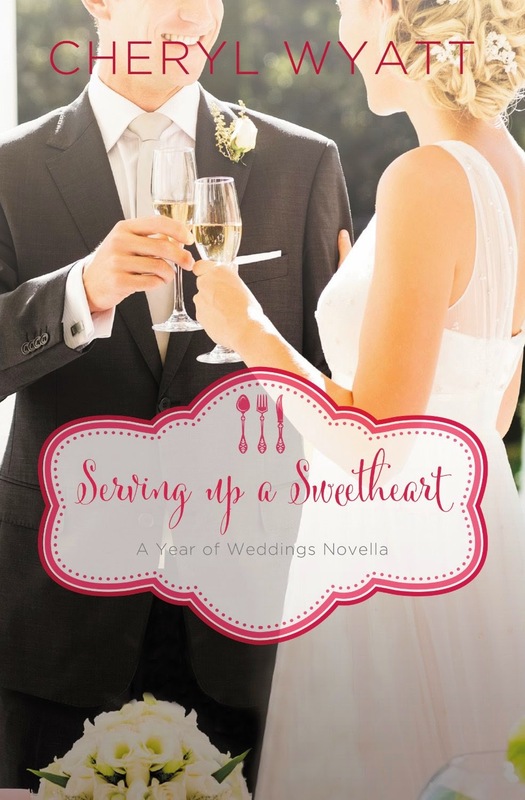 "Serving Up a Sweetheart" by Cheryl Wyatt is the February book in the new Year of Weddings Novella series. Colin and Meadow do go from foe to friend to engaged really quickly, but it is a novella, so things need to move faster than in a full length novel. I liked Colin and how he really wanted to help Meadow and kept putting her first. Meadow had a difficult childhood and it has left her with emotional scars. What Colin and his friends did added to her pain. It was nice to see the journey they both took to overcome what had happened in the past. I also really like the "Meadow Agenda" Colin kept adding to! The little pictures of cutlery at the beginning of the chapters and scene breaks were cute and fit the theme of the story. This is a sweet Christian romance and would recommend it to those who like them. I received a free ebook version of this book from booklookbloggers in exchange for my honest review. A positive review was not required and all opinions are my own.